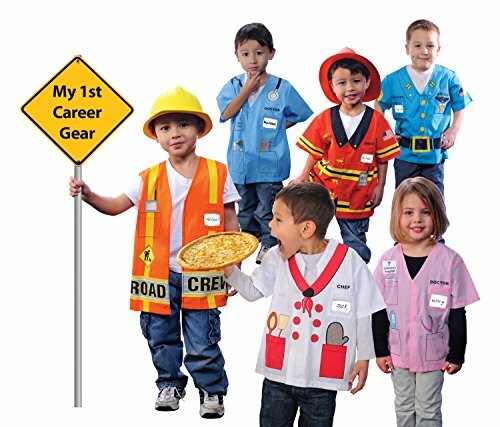 My 1st Career Gear Shirt 12 piece Assortment. 2 pieces of each style shirt: Firefighter, Police, Road Crew, Chef, Dr. (blue), Dr. (pink). (12 piece bundle).